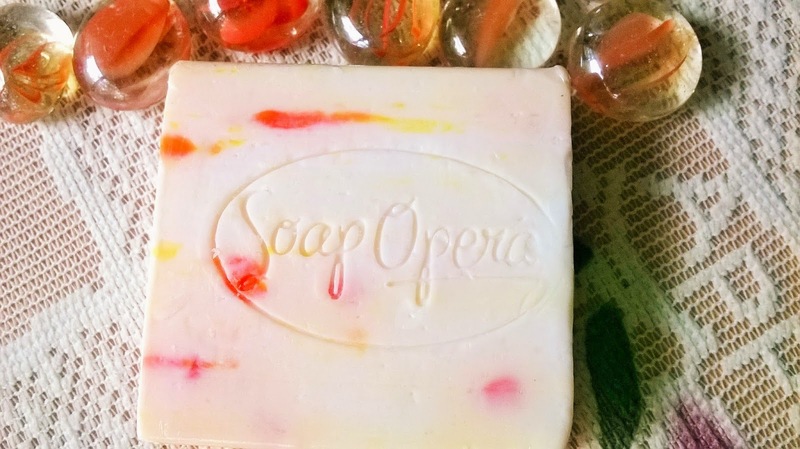 A few days back I have done a post on a splendid looking soap stack from Puresense by Soap Opera. I will be reviewing one of the 6 soaps from that lot. 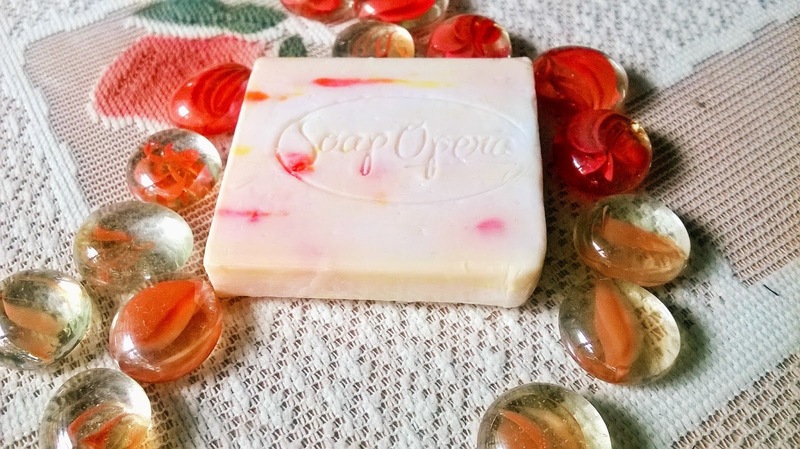 It is the Puresense By Soap Opera Orange Soap. 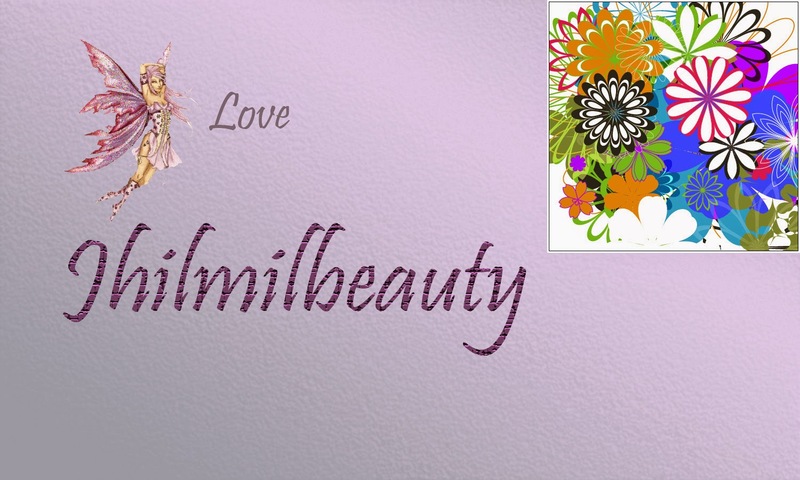 The citrusy flavour of orange and its rich antioxidant property makes it a must-have for any natural beauty lover. 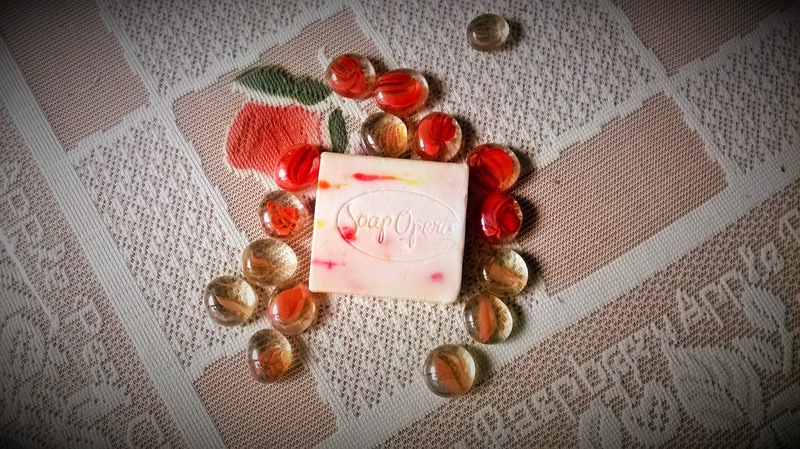 Packaging: The packaging of Puresense by Soap Opera Orange Soap is very bright orange with a transparent wrapper, through which the soap is visible. 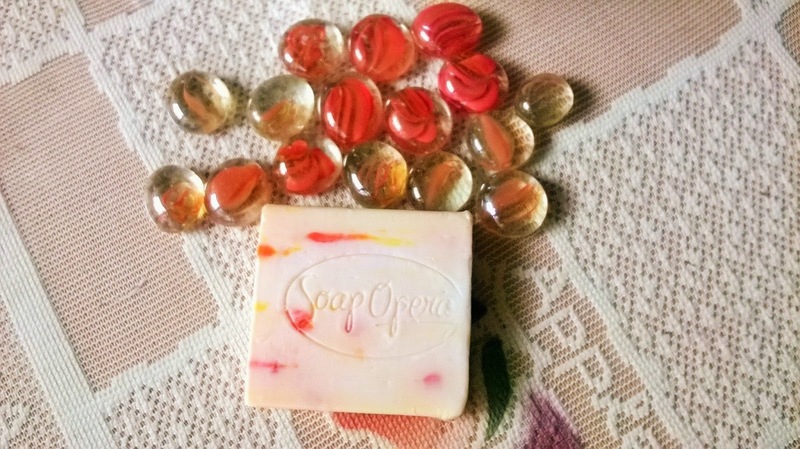 Product: It is a beautiful orange coloured soap with a citrusy, orangy fragrance. 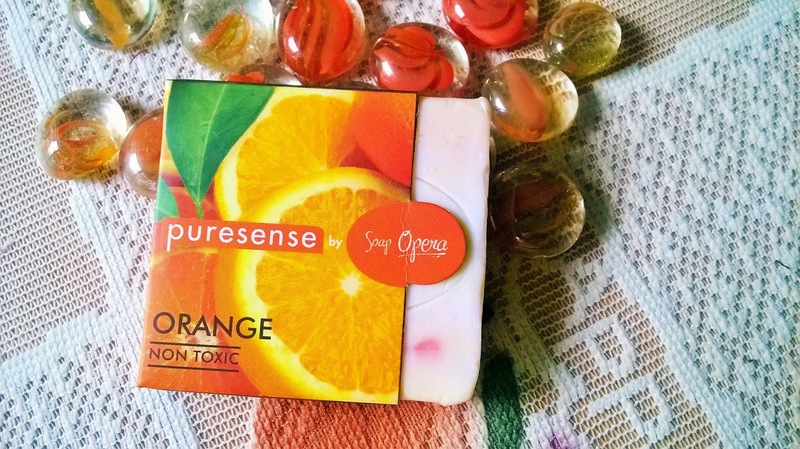 My Experience: Puresense by Soap Opera Orange Soap is such a pretty looking bathing bar, which is Sulphate-free, paraben-free and non-carcinogenic. It is tender to the skin as it is non-toxic. The lovely citrus orangy fragrance will take you to mental trip of orange orchards. The soap lathers decently and leaves the skin soft. As i have dry body skin, I generally require to hydrate my body after cleansing with soap or shower gels. 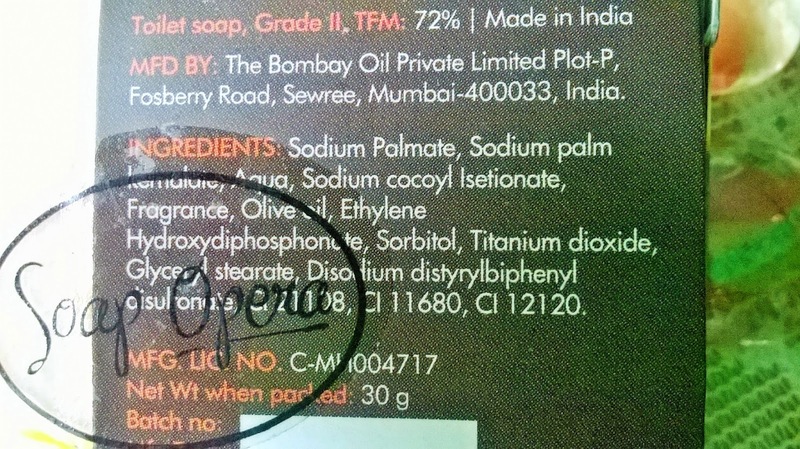 But this soap makes the skin so tender it does not even give any white patch when you scratch your skin with your nail for testing. The smell stays for a long time and I avoid using any other perfumes or mists, just to get the fresh smell. Another thing that I have noticed is that I do not get sweaty very easily. I cannot say if this is something to do with the soap, but I am experiencing this from the time I have started using the soap. 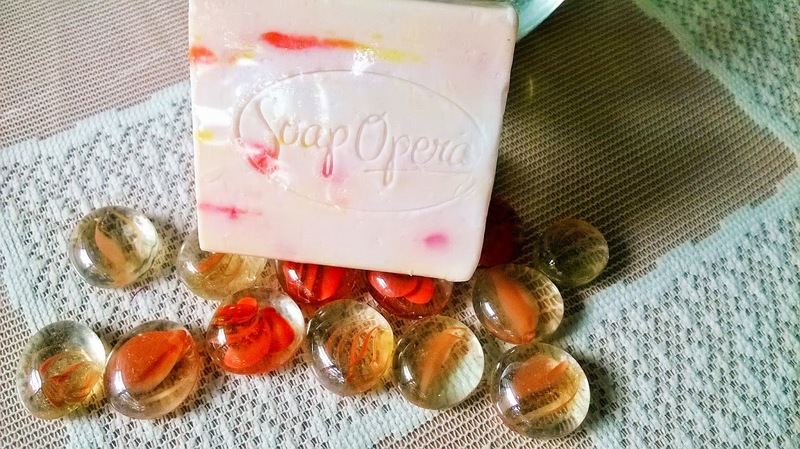 Puresense by Soap Opera Orange Soap is truly a natural soap-lover's delight. 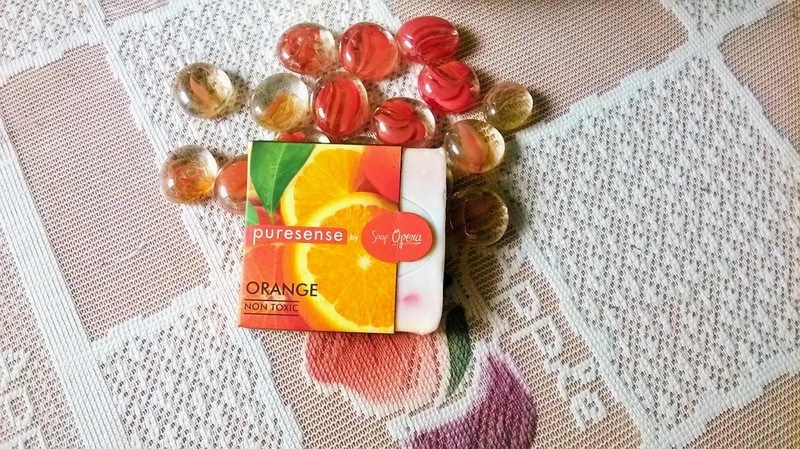 Puresense by Soap Opera Orange Soap is a collector's item, anyone will love to have in the shower. 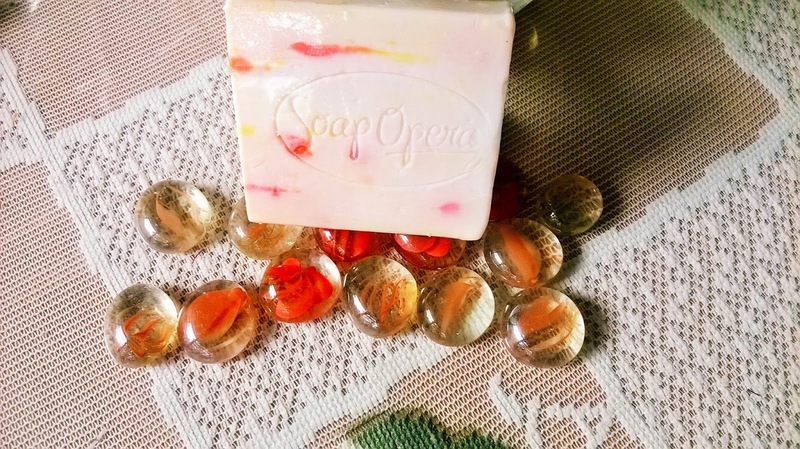 If you like orangy citrusy smell and care for your products to be free of chemicals & toxic substance, I would suggest spend your bucks in this outstanding bathing bar, and you won't be disappointed. It will be great as a gifting option too.